Crisis management has always been critical in healthcare, but the global phenomenon called social media has made it vital for the industry to treat any emergency with urgency and have a healthy crisis management strategy. 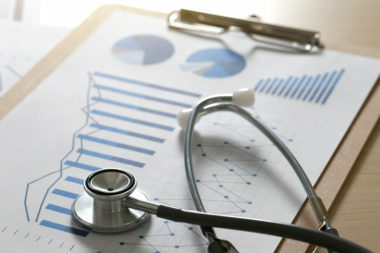 To help healthcare organizations handle a crisis with care, Uri Goren dispensed some social suggestions on PMLive.com. 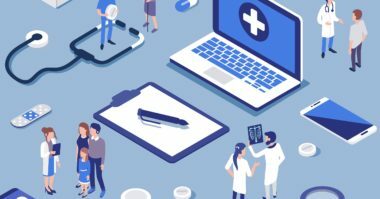 While the healthcare industry is skilled at handling medical crises, it has struggled to manage social media crises because there is a cultural gap between the industry and technology. This is mainly because healthcare is the antithesis of social media. It is conservative by nature, as well as evidence-based driven, highly regulated, steeped in professional jargon, and upholds privacy to the highest standard. While these qualities are important in healthcare, they aren’t in social media, which is a fast-paced, dynamic, liberal, brief, and transparent form of media. These gaps have to be bridged in the near future to help the healthcare industry thrive with the times. Healthcare organizations need to face a few realities of the new social order. First, patients have become public spokespeople and they can share their experiences with thousands through a quick click and comment. In addition, the ubiquity of smartphones means that patients can capture any medical discussion or display and then air it to the world instantaneously. This loss of privacy must be remembered in every dialogue and document since each can lead to potential problems. Also, social media has sped up the crisis response time to the point that a problem can go public in an instant. This means that organization must be prepared to remedy a crisis on the spot. Finally, social media has turned the tables on traditional news and instead of just spreading stories, has become the source of them. This means that a simple comment or tweet can quickly become breaking news. As a result, healthcare organizations must use discretion when posting to platforms and realize every patient is a potential journalist. 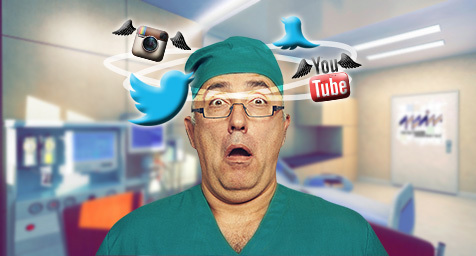 So how can healthcare organizations protect and prepare themselves for potential social media slips? Just like in medicine, prevention is key, so here are a few healthy habits to preserve your public image. 1. Monitor Your Social Signs – Pay attention to what patients are saying by listening to their comments on social media channels. 2. Increase Your Immunity – Strengthen your social immune system by actively participating in social media discussions and building a positive community around the healthcare brand. 3. Be Prepared for Any Emergency – Develop a standard operating procedure for crisis management and train your employees to follow your guidelines and alert you to potential problems. 4. Treat the Problem Immediately – Just like trauma treatment, you need to act fast to increase your odds of survival, so you must respond immediately. Even a vague response is better than no response—just be sure to let your community know that you’re on the case and seeking a remedy. 5. Dispense a Dose of Honesty and Empathy – Social media demands professional transparency and personal respect, so make both the basis of your crisis management strategy. A social media crisis can happen to any brand at any time, so you can’t take any chances when it comes to the health of your healthcare organization. Use social media to keep your brand going strong. Contact MDG Advertising today at 561-338-7797, or visit mdgadvertising.com. MDG Advertising, a full-service advertising agency with offices in Boca Raton and New York City, is one of Florida’s top healthcare marketing companies and branding firms, whose healthcare clients include Dental Care Alliance, MDVIP, Max Planck Florida Institute, HCA East Florida, Primary Pharmaceuticals, and the biostation. MDG’s core capabilities include branding, logo design, digital marketing, print advertising, mobile marketing, email marketing, media planning and buying, radio and TV advertising, outdoor, newspaper, video marketing, infographic development, Web design and development, content marketing, social media marketing, and SEO. To learn more about integrating a solid social media strategy into your healthcare marketing plan, contact MDG Advertising today at 561-338-7797.